Product Details - Capacity - 100 wipes, Ingredients- Aloe and lanolin, vitamins a and e, protein, Use - Cleans pets face, ears, body and eye area. 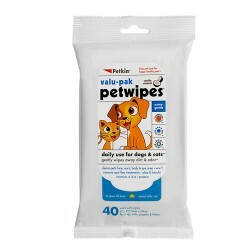 Product Information - Pet Wipes provide a fast, convenient way to keep your pet clean everyday. 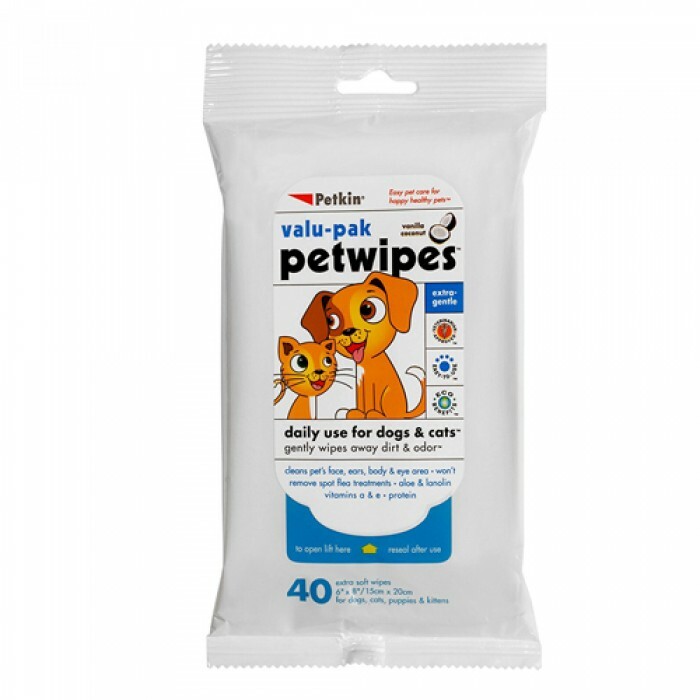 Each extra soft pet wipe is moistened with a natural formula that helps maintain a clean and healthy pet. Gentle enough to use every day around pet?s eyes, ears, face, and body.